Eating four or more servings of boiled, baked or mashed potatoes and French fries a week may increase your risk of high blood pressure, a new study has warned. Researchers from Brigham and Women’s Hospital and Harvard Medical School in the US suggest that replacing one serving a day of potatoes with one serving of a non-starchy vegetable is associated with a lower risk of developing hypertension. Researchers followed over 187,000 men and women from three large US studies for more than 20 years. Dietary intake, including frequency of potato consumption, was assessed using a questionnaire. Hypertension was reported by participants based on diagnosis by a health professional, researchers said. After taking account of several other risk factors for hypertension, they found that four or more servings a week of baked, boiled, or mashed potatoes was associated with an increased risk of hypertension compared with less than one serving a month in women, but not in men. Higher consumption of French fries was also associated with an increased risk of hypertension in both women and men. However, consumption of potato chips (crisps) was associated with no increased risk, researchers said. 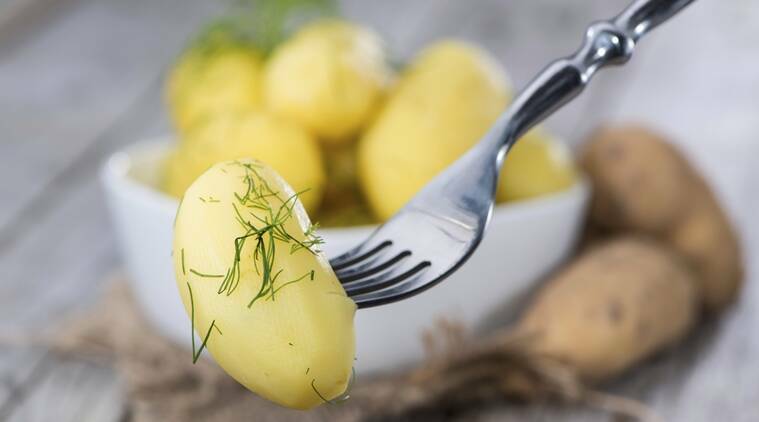 According to them, potatoes have a high glycaemic index compared with other vegetables, so can trigger a sharp rise in blood sugar levels, which could be one explanation for the findings. 1 Once and for all: Why is the Chicken 65 called the Chicken 65?